Increases in traveler volume and international crime are putting pressure on border security personnel to modernize their security protocols to abandon manual identification checks and adopt more secure technology to prevent the fraudulent use of identity documents. The M2SYS SecuredPASS™ border control and immigration identification software streamlines the often redundant multiple passport cross-checks that many airport and border security checkpoints require. 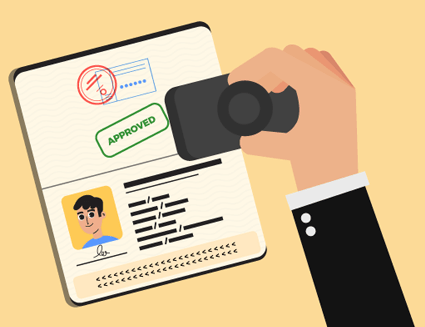 Border management agencies can use the M2SYS SecuredPASS™ identification to quickly and accurately confirm traveler identity to verify that someone is who they claim to be. The automation of identification checks for border security helps to stop criminals intent on using fake identification to cross borders and commit crimes plus it facilitates fast, safe, and smooth crossing for common travelers to facilitate growth in commerce and tourism. The system can be deployed in LAN/WAN/MAN network or even with VPN & WEB network to quickly and accurately retrieve registered personnel or member profile information. 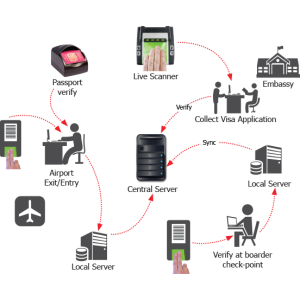 The software allows administrators to input a person’s complete demographic information and register his/her biometric data from a central collateral system by simply placing their finger or eye on the compatible biometric hardware connected with the Verification Points at the Borders or Immigration facilities on Arrivals or Departure. Once a person has been recorded, his/her picture and profile data can be instantly displayed from any networked PC using a single biometric scan and is ready for use within minutes.